A black lace Victorian skirt that has amazing features. It has a front opening with stunning buckle ..
A super cute wardrobe staple from Necessary Evil, the Larunda skirt is a high-waisted mini length sk..
Full length satin skirt with Bitter Beauty lace swag For illustration of detail; the picture of the ..
A beautiful retro style skirt from Necessary Evil. 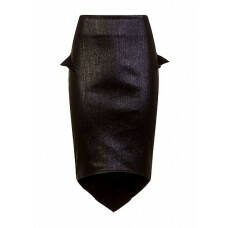 This ultra versatile and feminine tulip skirt sit.. Striking and beautiful, the Nefetari Under Bust Cincher Skirt is traditionally Gothic Skirt with a m.. This stunning fitted skirt from Antibrand is a dark mermaid dream come true, with a mermaid inspired..